“Vision-Fragments and Personal Lost Worlds.” Craft Literary. “The Half-Wild Muse: On Writers and Their Cats.” Literary Hub. “The Ecstasy of Influence.” TSP, the official blog of The Story Prize. “Writing Rules Made to Be Broken: The Rules You Delight In.” GrubWrites. “Turning Out the Lights: On Cuba, Writing, and the Ecstasy of Planetary Topography.” Cleaver. “Classic Omniscience Revisited: Lessons for the Modern Novelist in Thackeray’s Vanity Fair.” Empty Mirror. “What’s a Writer For? A Fiction Writer’s Perspective.” GrubWrites. “Research Notes: A Field Guide to Murder & Fly Fishing.” Necessary Fiction. “Shadow Play: Dreams, Visions, and Hallucinations in Fiction.” Fiction Writers Review. “Eight Novels to Prepare You for the End of Civilization.” Talking Writing. “What Novels Can Do that Movies Can’t, and Why We Need to Keep Writing Them.” The Grub Daily. “New Histories: An Interview with Tim Weed.” Fiction Writers Review. “Narrative as Time Machine: Five Tools for World Building in Historical Fiction.” The Grub Daily. “Temporary Environments: An Interview with Alden Jones.” Fiction Writers Review. 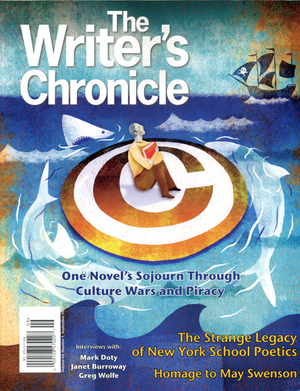 “Descriptive Writing in the Novel.” Originally appeared as “Accessing Eden: Novelistic Landscapes and the Domaine Perdu.” Writer’s Chronicle. Read highlights from “Storycraft,” Tim’s blog on craft analysis in classical and contemporary fiction, here.